Creativity is moving pretty slowly in my studio right now because i just discovered Glee on instant queue on my netflix and i'm officially hooked! 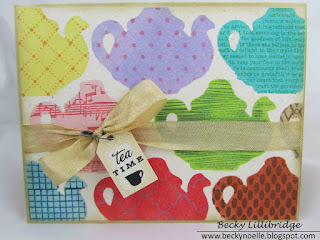 I love teapots so when i saw today's challenge @ Papertrey's Make it Monday for using your dies for masking i knew i wanted to make a bunch of pretty patterned teapots :) I made my mask using the teapot die and tim holtz mask sheets. Your card is beautiful and bright, I chose teapots also. This must have taken some time to do so many teapots. It turned out just beautiful nice job. such a sweet card - love it! What a fun card and I love all your different backgrounds. 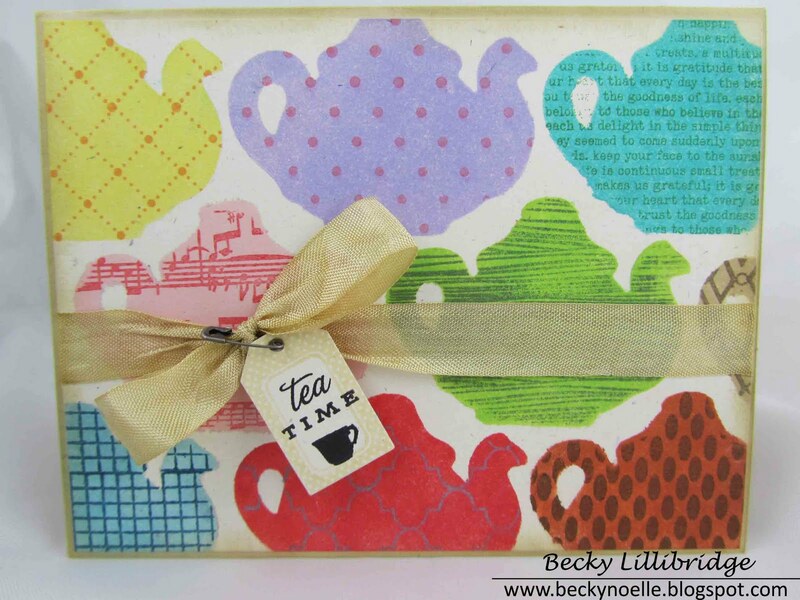 fun, fun tea pots with all different patterns, I love it!! This so fun with all the colors and patterns.